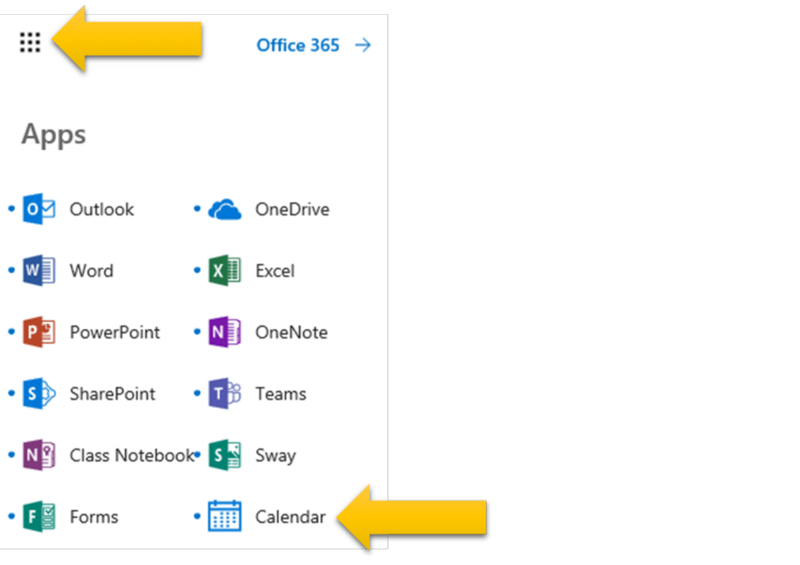 Reserving a spot for your classes in the library or computer lab is now available through Office365. Select the grid of squares – the App Launcher — in the top left corner of the screen and select the Calendar app. The Library Bookings Calendar is listed on the left under Other calendars. For an uncluttered look, deselect the other calendars to view only the events on the Library Bookings Calendar – only 1 calendar tab will now show under the months. Select the day (example: day 3) you are interested in booking and the event will open. 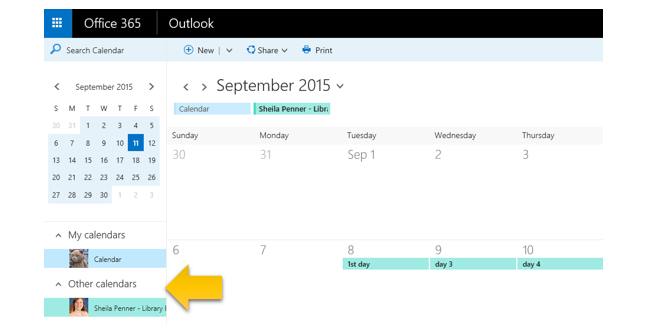 **TIP (blue arrow) If you add a booking to a day and would like a reminder, select the Add an email reminder link and choose the time frame you’d like and Send reminder to : Me. Ignore all the info at the top of the page — anything you change there will be changed for everyone else as this is a shared and “live” calendar. Select the time spot in the table you would like to book and enter your name. 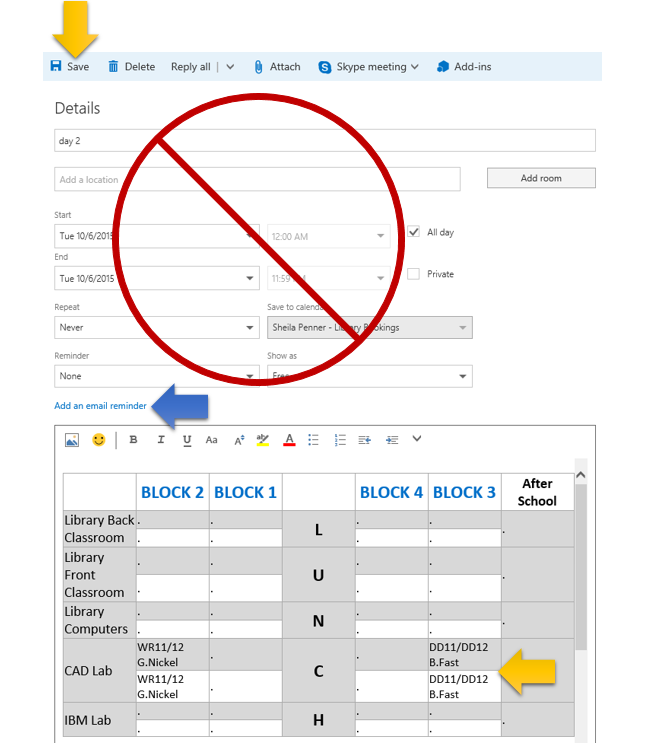 Note that each block is divided into two time periods so that a space can be booked for just the first half or last half of a class – put your name in both spots if you are planning to use that space for the whole block. 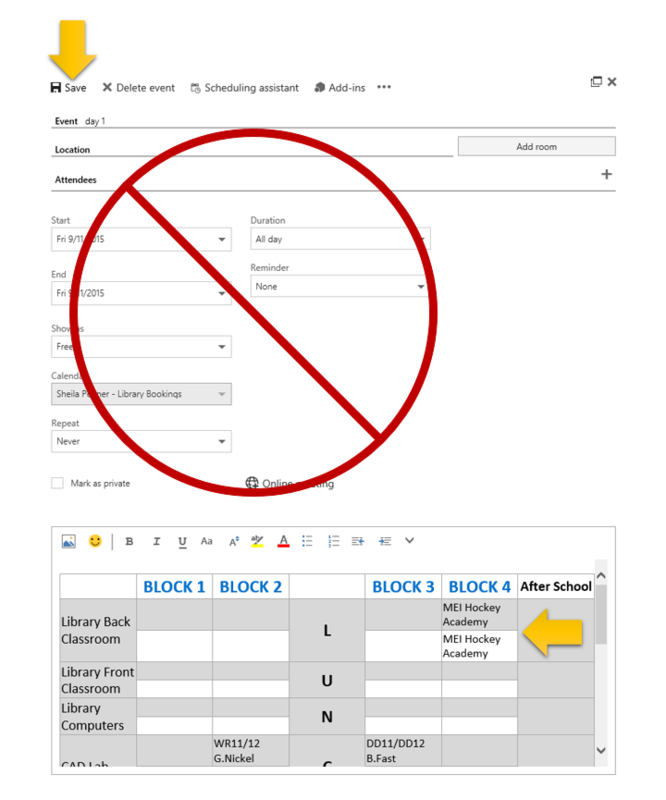 Once you are finished entering your bookings, or if you have decided to check another day, select Save at the top left of the window to save and close the event. 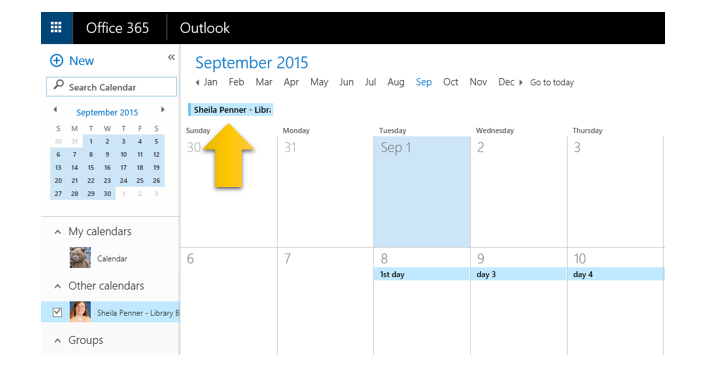 If you want to choose another time, simply select a new date. 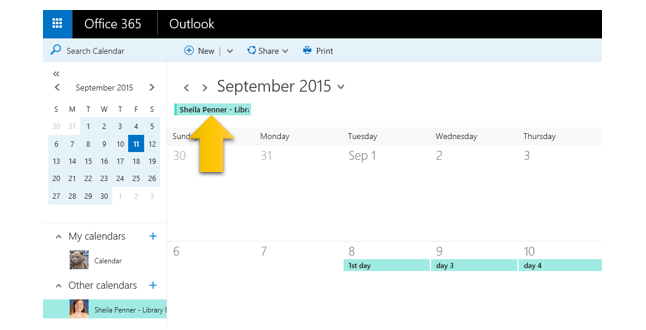 If you would like to rename the calendar, right click on the calendar name and select Rename from the list of options that pop up. 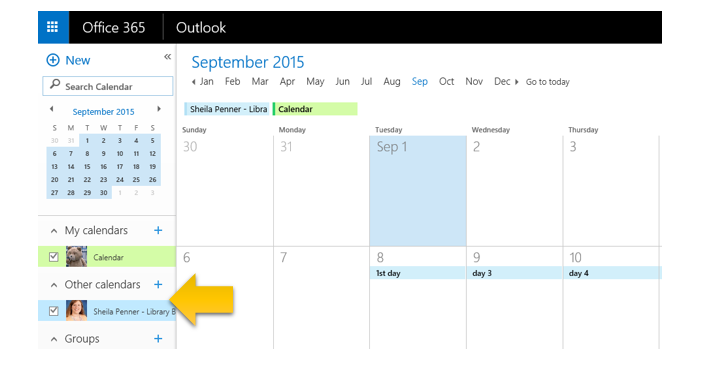 To leave the calendar view, select the App Launcher at the top left corner once again and pick another app, such as Mail. If you have any questions or want a “how to” in person, contact Sheila Penner at MEI Secondary Library.